Last summer I had the pleasure of spending time at EXPLO’s Bioengineering for Girls program. Bioengineering for Girls is a unique summer program devoted to science and engineering and, in particular, a field called bioengineering, blending in-class instruction with a great deal of hands-on learning. What is bioengineering? Bioengineering is defined as the application of engineering in medicine but the most interesting work in the field transcends a single discipline and includes physics, math, and biology. Working with top researchers and visiting leading labs throughout Boston, students in the new EXPLO program are exposed to careers in biomechanics, prosthetics, environmental science, neuropsychology, tissue engineering, epidemiology, biophotography, pharmacology, and more. Bioengineering for Girls allows students to strengthen foundational science skills with hands-on labs that include medical simulations and medical device design and development. I was impressed with the effort that went into developing the curriculum for this program and enjoyed getting to experience it first-hand during one of EXPLO’s sessions. I am delighted to profile this type of summer program with the hope that it makes parents aware that science programs of this nature are a possibility for your children. I joined the students on their day at Brigham and Women’s Hospital’s STRATUS Center for Medical Simulation. STRATUS is one of the most comprehensive and technologically-advanced medical training centers in the world, backed by the world-class experience of Brigham and Women’s Hospital, a major teaching affiliate of Harvard Medical School. It was an incredible experience for the girls. 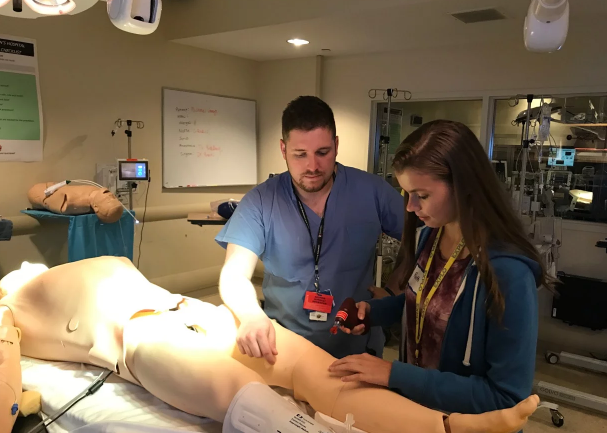 They tried their hand at simulated surgery in an operating room that uses the same equipment that doctors use to train for surgery and monitor patients. The students also got to use robotic equipment in simulated medical procedures. I saw first-hand how excited the students were to learn about medicine, technology, and the equipment used in a hospital setting. The fact that they got to use real equipment and diagnostic tools first-hand was impressive. I spoke with Barb Trainor, EXPLO’s Director of Curriculum and Instruction, and she explained that EXPLO created the Bioengineering for Girls program to allow young women to explore the variety of work being done in the bioengineering and medical fields; immerse themselves in hands-on lab, maker and machine shop experiences; and gather valuable advice from professionals in the field via seminars and trips to industry labs. Research shows that girls lose interest in the sciences by the time they’re 13 years old. Currently, only 24 percent of people in all STEM fields are women. All of the curriculum created for EXPLO programs are focused on teaching that is adventurous and models taking risks. For Bioengineering for Girls, EXPLO has partnered with leading academics, researchers, and industry experts to design a unique program that will help launch girls into bioengineering careers. The main instructors and program managers are all women scientists and engineers so that students will see accomplished women in STEM in action. The result is a deeply experiential curriculum driven by active learning. EXPLO is offering Bioengineering for Girls (grades 9-11) July 14 – July 27 at Wheaton College in Norton, MA. To learn more, visit: https://www.explo.org/focus/bioengineering-for-girls/. 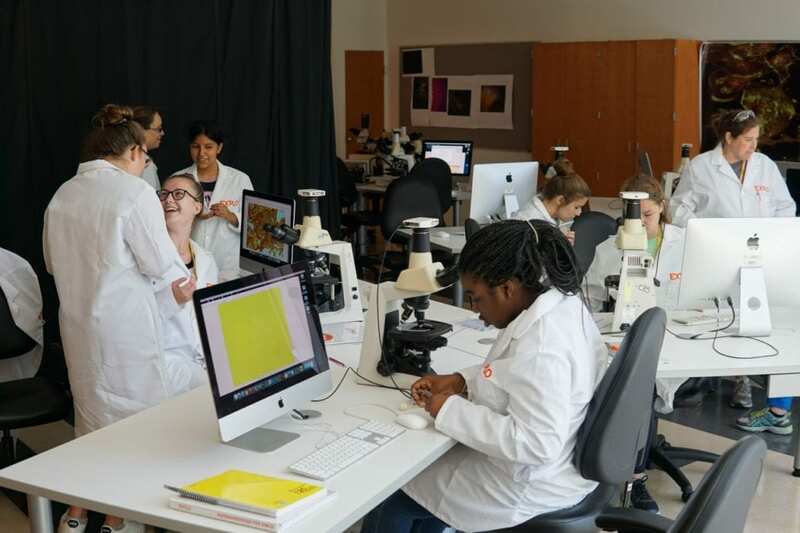 If you like the concept of this camp but can’t attend the Wheaton program, EXPLO offers a wide variety of science and technology-related programs at Wheaton College, Wellesley College, and Yale University (for girls and boys).